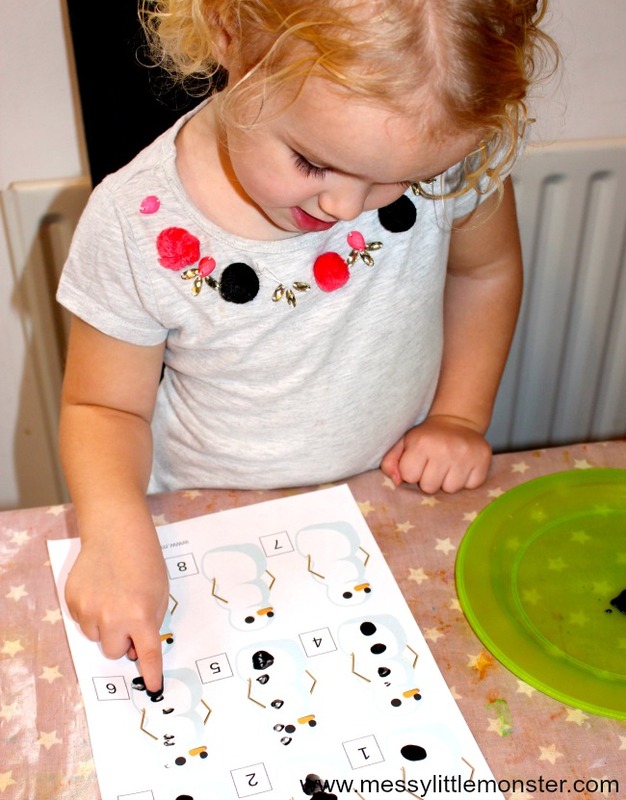 This Winter work on early counting skills and number recognition with our printable snowman counting activity. 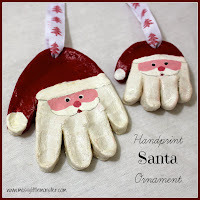 Toddlers and preschoolers will love using their painty fingerprints to add buttons to the numbered snowmen. 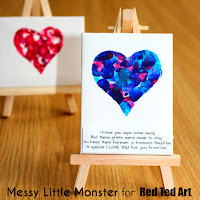 Don't want to get messy? Not a problem, count out real buttons instead! 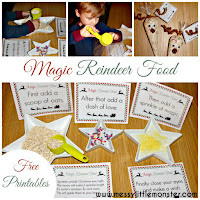 Take a look at all our snowman activities that are perfect for a Winter project. 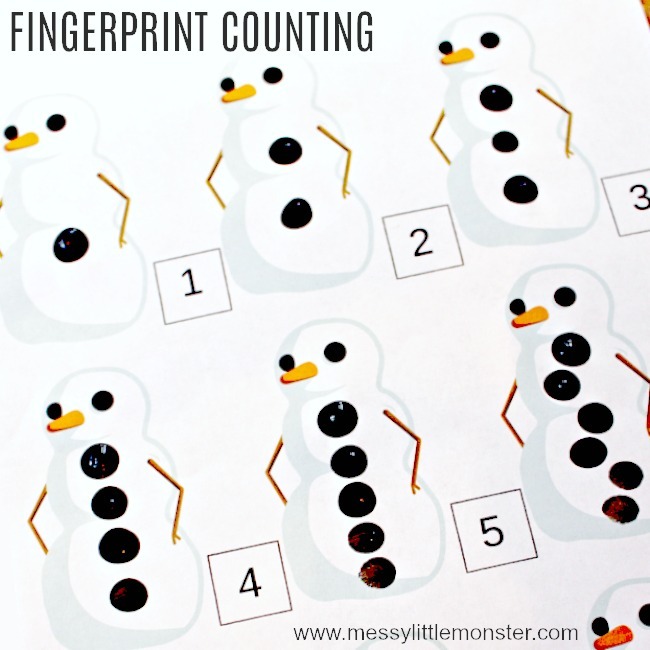 As the weather starts to turn colder these snowman themed counting printables would be a fun addition to a Winter or Christmas project. 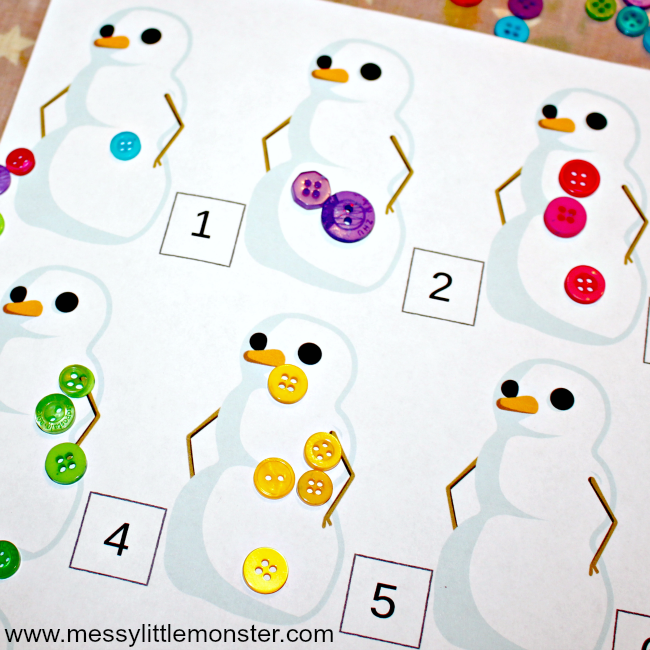 Simply download our free printable and add the correct number of buttons to each snowman. This counting activity is just as fun whether you choose to paint the buttons on using finger painting or you use real buttons. 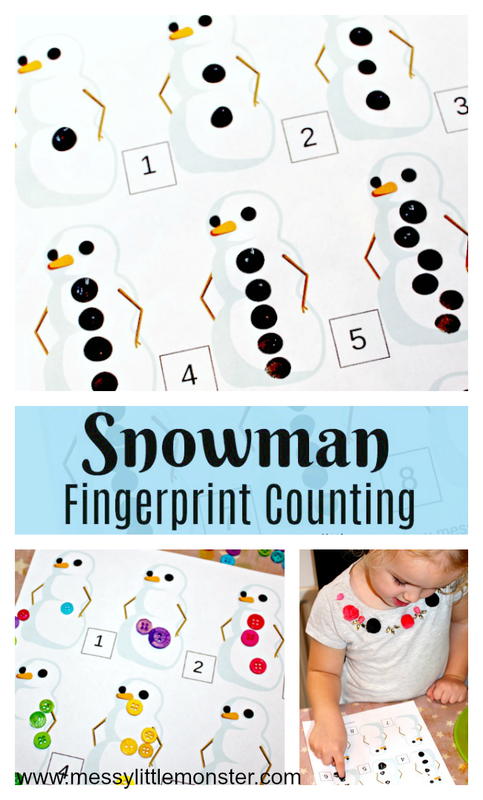 We have two snowman counting printables to choose from. 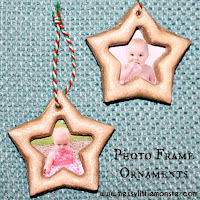 One with numbers 1-9 added to the printable and one with blank boxes for you or your child to add your own numbers. 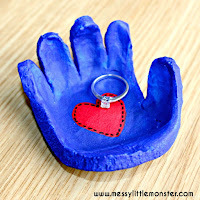 If you decide to use real buttons instead of fingerprints you will have the added bonus of being able to reuse this activity many times. 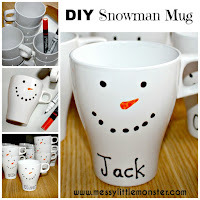 You might even want to laminate the snowman printable so it lasts a little longer. Before you leave don't forget to take a look at all our other snowmen activities. 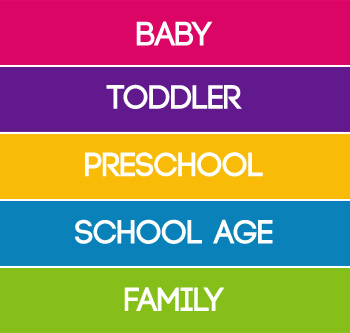 To get this counting activity printable for FREE type in $0 and click on the 'I want this' box below. It may take a moment for the page to load so please be patient.